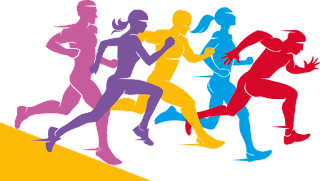 The Daily Mile- sign up now! It is great to see that local schools are signing up for the Daily Mile, a global initiative to get children to exercise for 15 minutes every day to boost their mental health. 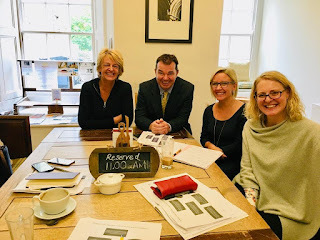 Corbridge Middle School, Hexham First School and St Matthew's Primary School in Prudhoe are all taking part in the programme, and it would be fantastic to see other schools in the constituency get involved as well. I was delighted to hear that a group of volunteers at Allen Smelt Mill have been nominated for a Historic England Angel Award in the category of Best Craftsperson or Apprentice on a Heritage Rescue. The Allen Smelt Mill is a rare remnant of the lead mining industry of the North Pennines. Until 2014 the mill was all but lost beneath piles of rubble and thick vegetation. However, the volunteers have worked incredibly hard to rescue and restore the industrial heritage site, conserving our local heritage and providing a vital boost to the Allen Valley economy. The Angel Awards are run by Historic England and supported by the Andrew Lloyd Webber Foundation. Their aim is to celebrate volunteers, local groups and unsung heroes who have made a lasting difference to their local heritage, historic buildings or places. Voting is now open. To cast your vote please visit HistoricEngland.org.uk/AngelAwards. Congratulations to Ponteland and Morpeth! 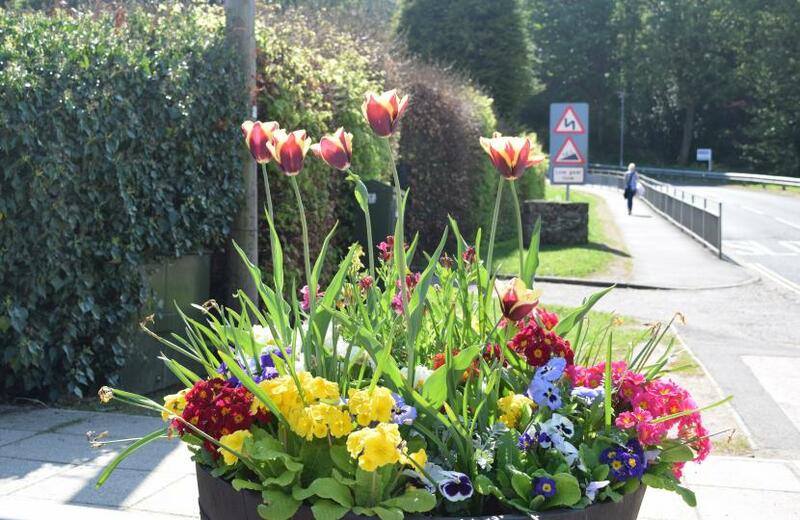 The two towns have been awarded gold awards for their entries for the Britain in Bloom competition. Ponteland was awarded a gold award in the Small Towns category, and Morpeth received gold in the Towns category. Britain in Bloom is an annual competition run by the Royal Horticultural Society which recognises towns and communities for their floral displays and landscaping. The Ponteland and Morpeth communities really did come together for the competition- well done to everyone on this fantastic achievement! Get voting to support local projects! Voting in this year’s Aviva Community Fund is now open. Over 3500 projects have entered and are now hoping to receive enough votes to become one of this year’s finalists, including local projects from the Hexham constituency. This year’s Fund will finance over 500 good causes around the UK, with awards ranging from under £1,000 up to £25,000. 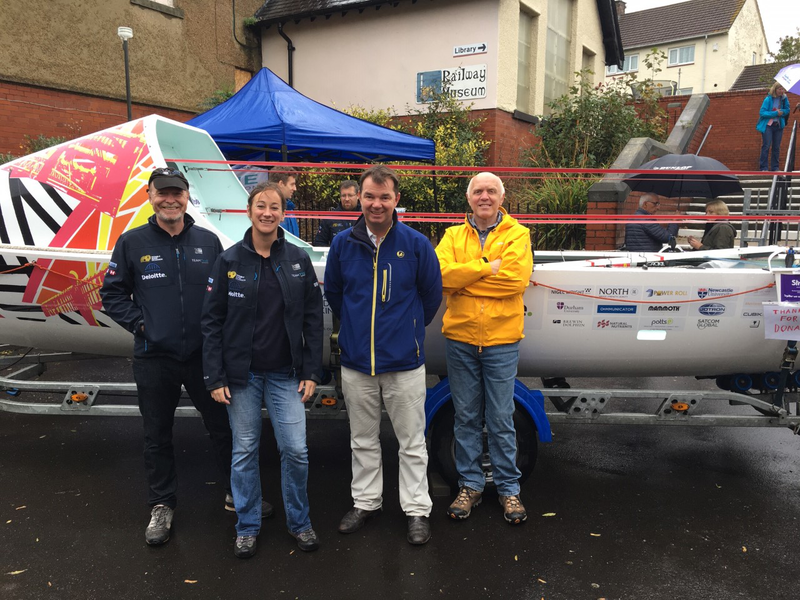 Aviva will fund the top-voted entries asking for up to £1,000. The most popular entries in the £5,000, £10,000 and £25,000 funding categories will go through to a judging panel. This week has seen a huge development in the process towards devolution in the North East, with the news that legislation to create a new mayor for Newcastle, Northumberland and North Tyneside has been approved by MPs in a House of Commons committee. The legislation will also need to be approved by the House of Commons as a whole, but this will be a formality. It is great to see progress being made towards devolution. The new combined authority will be a great thing for our region, with £30 million of funding a year and a real opportunity for more growth, jobs and investment in the North East. I am delighted that we are a step further forward. We all know that Northumberland is a great place to live, but last week's announcement of this year's nominees for the North East Tourism Awards confirmed that it's also one of the best places to visit. 35 of the 57 nominees at the awards come from Northumberland- the winners will be announced on 21st November at the Civic Centre in Newcastle. It's great to see Northumberland's tourism industry recognised- it's such a vital part of our local community and economy. Flu vaccine- get yours now! 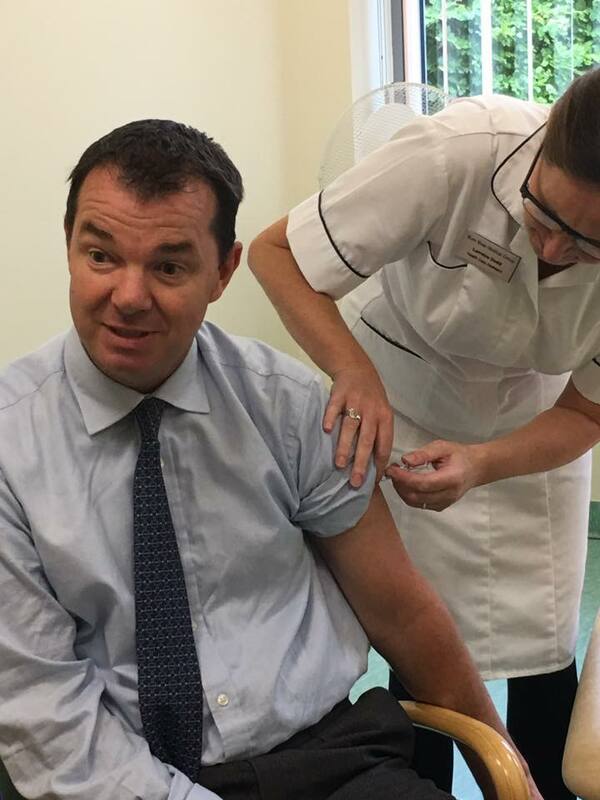 Winter always brings with it the risk of flu and I would like to encourage anyone who falls into one of the vulnerable groups to make sure you get a flu vaccination. I have the vaccination every year as I lost my spleen in a riding accident and so am immuno compromised, but if you are aged over 65, a pregnant woman or have an underlying health condition such as heart or respiratory disease or a weakened immune system, please do arrange with your GP surgery to get the flu jab sooner rather than later. Children aged 2 and 3 and in Reception and Years 1-5 are also recommended to get the flu jab. The NHS has more information about the flu jab, and you can find out more here. It really could be a lifesaver! 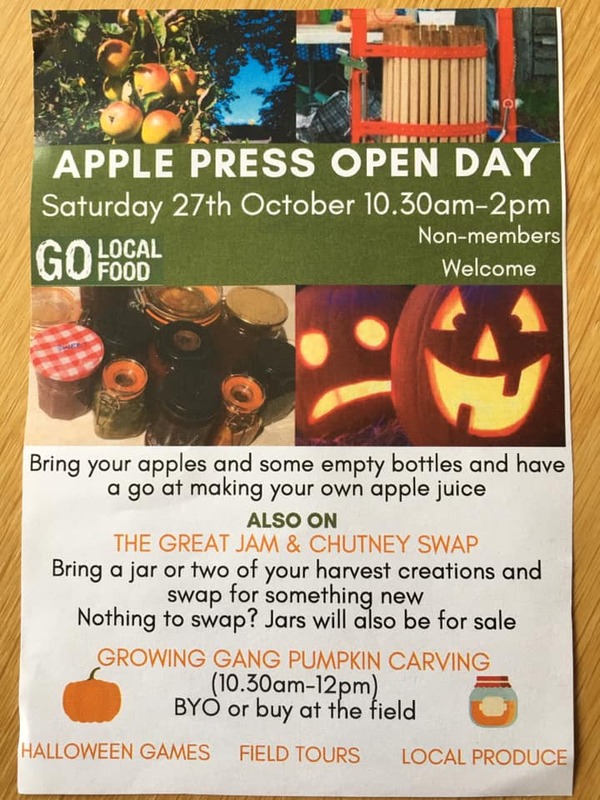 Coming up next weekend, a brilliant autumn event at Go Local Food at Halls of Heddon Nursery in Ovington. 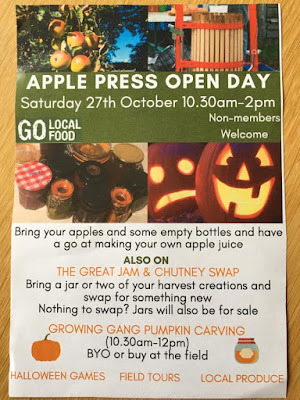 From making apple juice to pumpkin carving, there should be something for everyone, guaranteeing you a fun-filled day out to start off your half-term holiday! Mental health can affect any of us, so it is inspiring to meet people working to improve mental health care and support in our local area. Tomorrow is Breast Cancer Now's annual 'wear it pink' fundraiser day, raising money for vital breast cancer research. 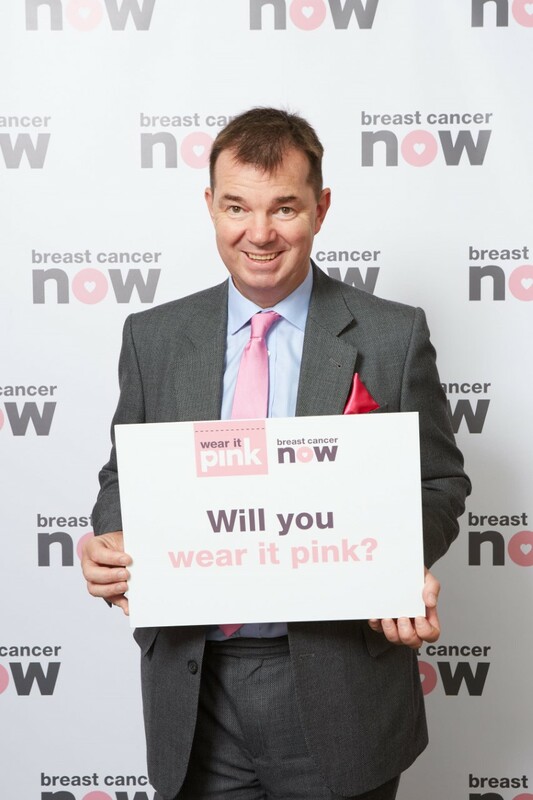 The event takes place every year in Breast Cancer Awareness Month and has so far raised over £31 million towards Breast Cancer Now’s important work, aiming that by 2050 everyone who develops breast cancer will live and live well. 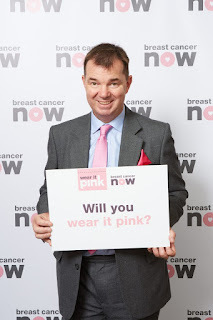 Anyone can take part in ‘wear it pink’- at work, school or in your local community. All you need to do is wear something pink or hold a pink themed event and donate to Breast Cancer Now. Each year around 11,500 women and 80 men lose their lives to the disease, so let’s all make a difference and wear it pink tomorrow! 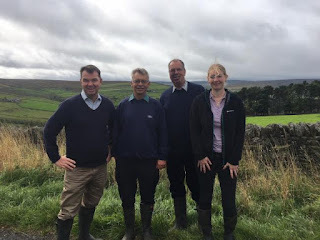 I recently visited High Studdon Farm at Sinderhope, to meet with farmers Nick Howard and Robert Phillipson, and RSPB representative Janet Fairclough to talk about the work they are doing to encourage birdlife on their farms whilst producing high quality food, and to talk about the future of agriculture policy. Nick and Robert are both traditional hill farmers, in Higher Level Environmental Stewardship schemes, and both are passionate about the wildlife on their farms, particularly lapwings and curlews. Both are also members of the Northern Hill Farming Panel - a farmer-led group which aims to promote high nature value farming in the uplands of Northern England. The RSPB works closely with Nick and Robert - and many farmers like them - helping them to give nature a home on the land that they manage and to access the support they need to look after the environment. We spoke about how the Agriculture Bill can support farmers like Nick and Robert to produce food and care for the environment. I was delighted to be invited to see first-hand the results of the excellent co-operation between upland farmers and the RSPB in the Allen Valleys. Relationships like this between farmers and environmental organisations prove the point that food production and conservation can go hand in hand in the upland areas of Northumberland. 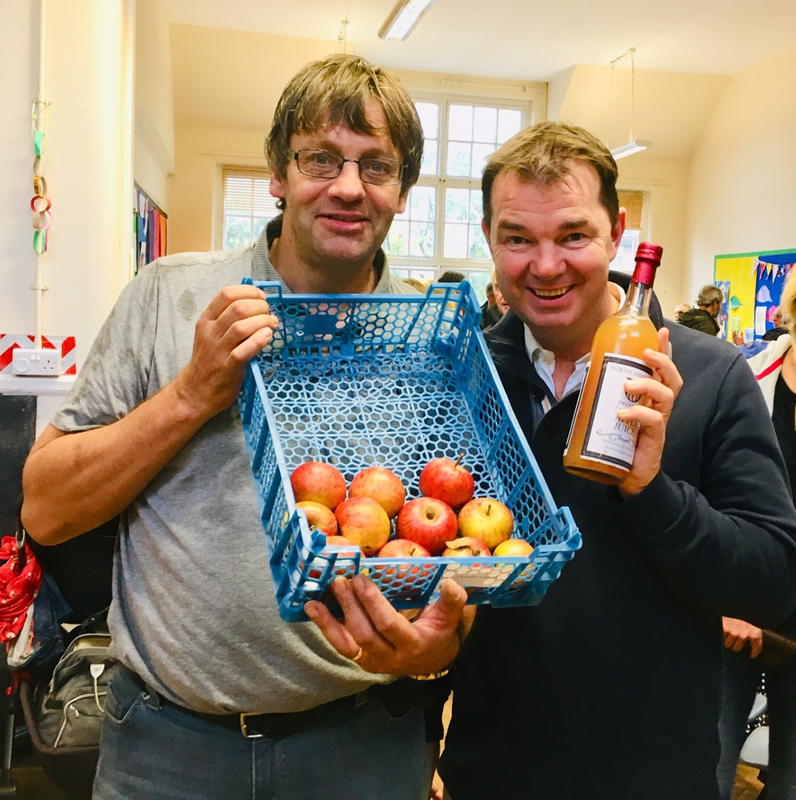 It was great to support Tom Martin and all the team at the Wylam Apple Day. It was a perfect way to spend a morning, which included the brilliant Wylam choir. 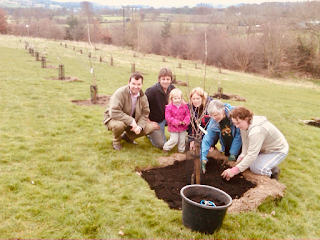 Tom really is a Northumberland legend- the Community Orchard at the school would not have happened without him. 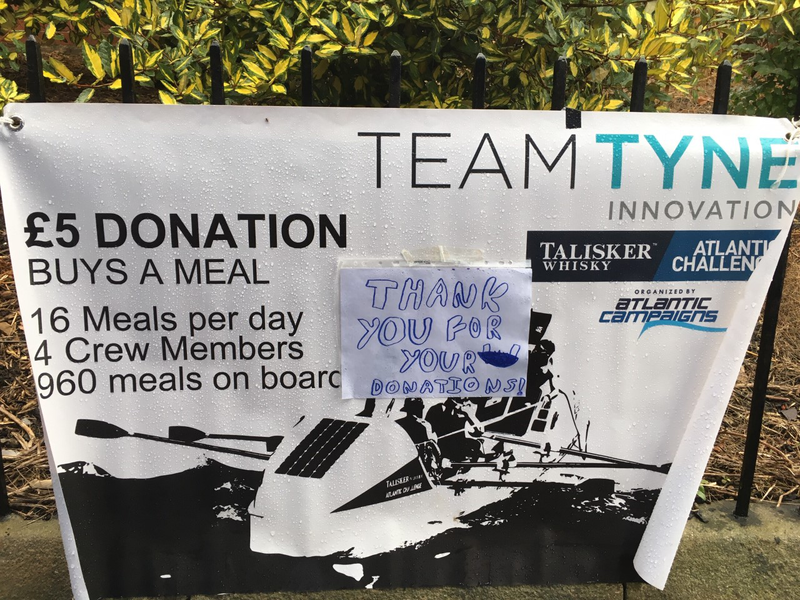 I'm proud to have been able to help a bit at the start of the project in March 2011- we have both aged a bit since then though! I am really excited that the extensive fundraising campaign by the Newton community to get church bells in the beautiful St James' Church has been successful. It has been a marathon campaign and full credit to the team - particularly Mowden Hall staff and supporters. 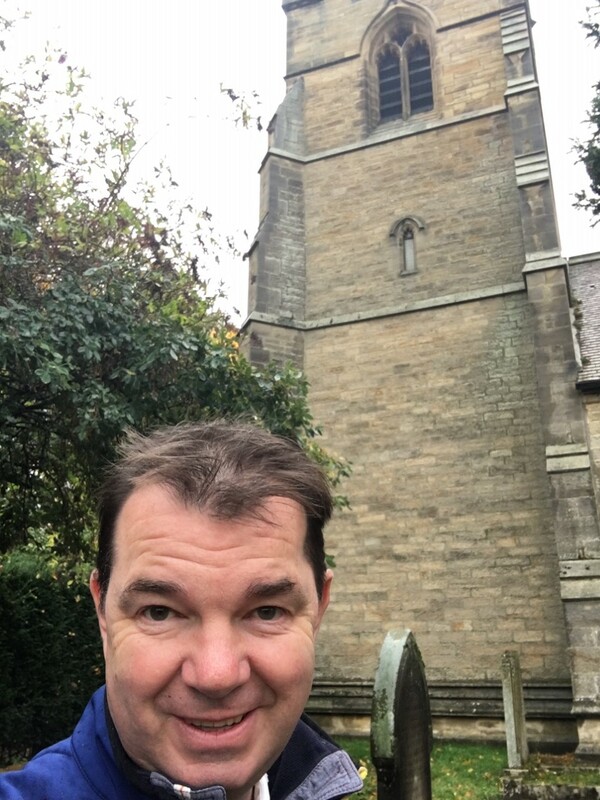 The bells have now arrived from the Foundry and the blessing of the bells takes place on Tuesday, and although I sadly will not be attending due to commitments in Westminster, I hope the event is a great success and I look forward to visiting soon. I have never done any campanology (bell ringing) but maybe one day! 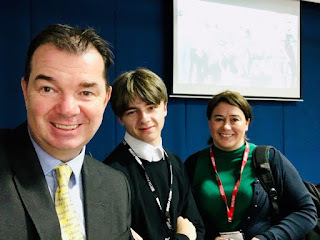 This week I spent time at Haydon Bridge and Hexham High Schools helping the team from the National Citizens Service explain the amazing opportunities available to local Year 11 and 12 pupils. 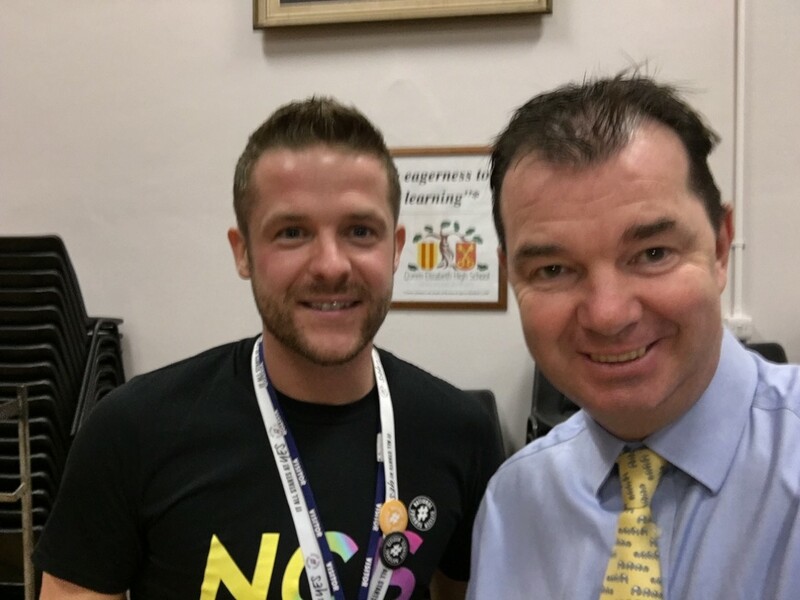 I was helped by the team leader Chris and Addison, a HBHS pupil. NCS really is a life-changing scheme that gives young people the chance to learn vital skills, gain confidence and meet new people. If you are 15-17 then I would definitely encourage you to find out more about the scheme- you can find out more or sign up for the autumn NCS experience by visiting the link below! Overnight care at Hexham General Hospital reopens! Jim Mackey, Chief Executive of Northumbria NHS Trust. When I was elected in 2010, the decision to build a new hospital in Cramlington had already been taken. As a result, I decided to campaign to ensure the provision of as many services as possible were maintained in Hexham. I have always said that I believe overnight urgent care should be part of the services provided by the hospital, and the more services it provides to our local community the better. 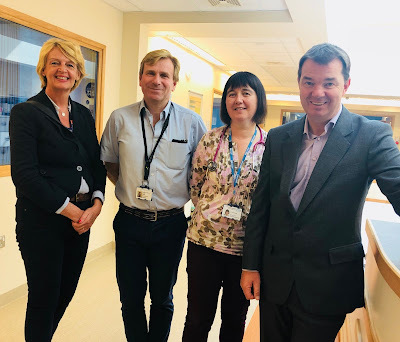 The photo below was taken at a recent visit with local Councillor, Cath Homer, where we met Mr Paul Edmonds, Dr Fiona Conlon and many of the team behind the Elderly Assessment Centre. All of us know that Hexham General Hospital provides high quality care to the residents of Tynedale; for example, the cancer care is rated as one of the best in the country by patients. The temporary closure was not a result of a funding issue. The hospital accept they have received extra funding, and have a great deal more nurses than before. 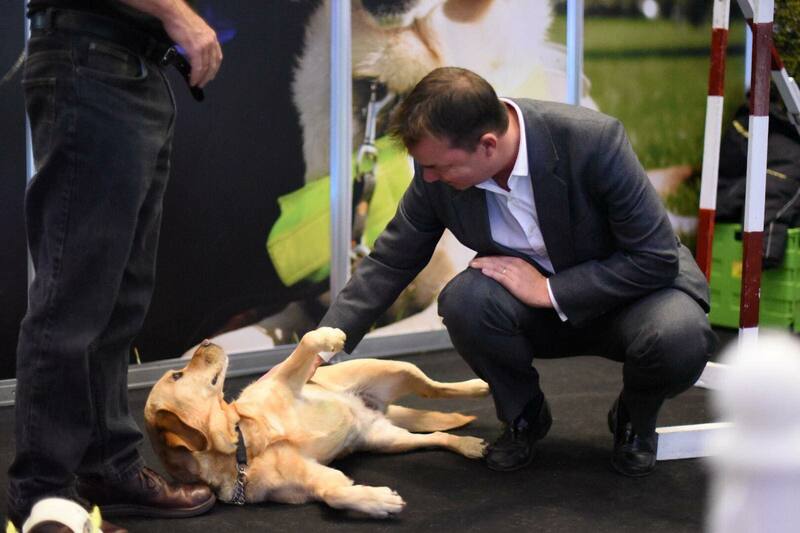 I was pleased to be able meet representatives from the charity Guide Dogs to speak with them about the challenges pavement parked cars create for blind and partially sighted people, who may have to risk their safety by walking into the road just to get by. 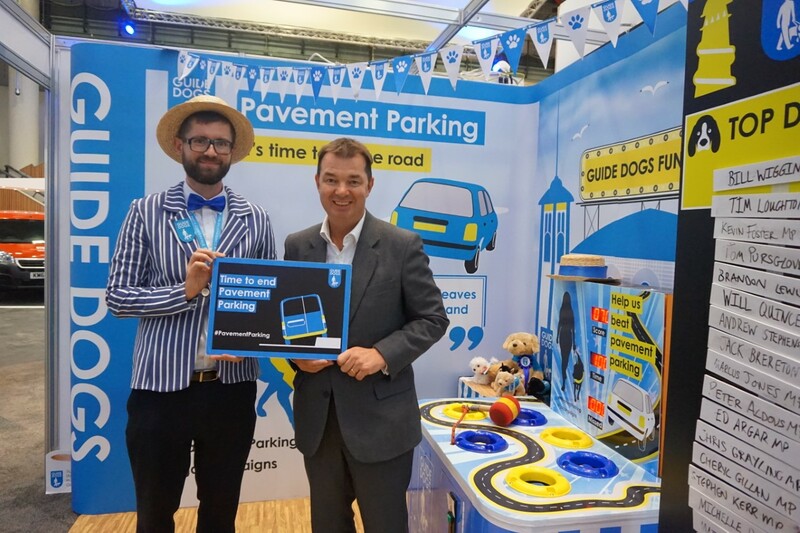 A survey by Guide Dogs has shown that 97% of blind or partially sighted people encounter problems with street obstructions, and 90% of those have experienced trouble with a pavement parked car. 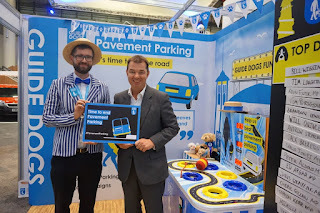 Guide Dogs is now calling for a clear national law on pavement parking, and I am supporting their campaign to make pavement parking an offence, except in areas where local authorities grant specific exemptions. This would give local authorities real power to properly tackle this problem. 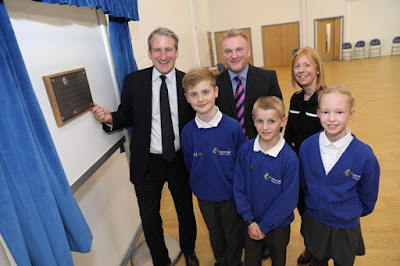 The Secretary of State for Education Damian Hinds visited the newly built Darras Hall Primary School yesterday to officially declare the school open. 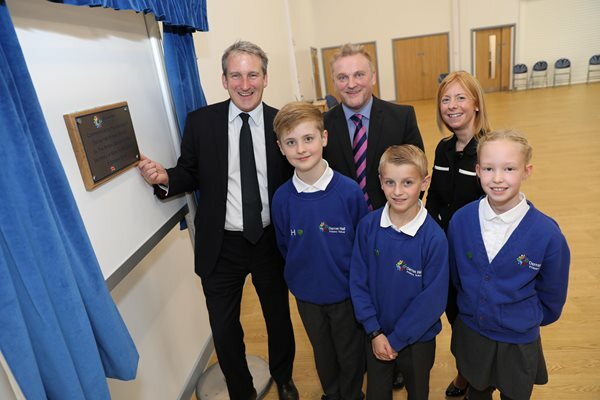 The £5.8million school was built by Northumberland County Council and features state of the art classrooms and facilities. As part of his visit Mr Hinds also announced a £24million investment programme for young people in the North East. The fund will be used to boost early career training for new teachers to raise standards in schools, to improve outcomes for students aged 16 or over and improving pupil transition between schools in the county to ensure that progress is maintained. The Opportunity North East programme will also work with local businesses to create more opportunities for young people across the region. I wholeheartedly welcome this announcement, and look forward to seeing investment in education in our region giving our children and young people the best possible chance in life. Mr Hinds said: "There are today too many education measures on which the North East is listed ninth in the list of nine English regions. It doesn't have to be like that.In fact the North East has a lot of really outstanding education - especially so at primary level.The job now is to spread that through more of the secondary level and beyond. It's vital that we do this to make sure that no part of our country feels as though it has been left behind, and that every community feels like this is a country that works for everyone." After the fantastic success of last year's competition, I am delighted that my constituency Christmas card competition is back for another year. 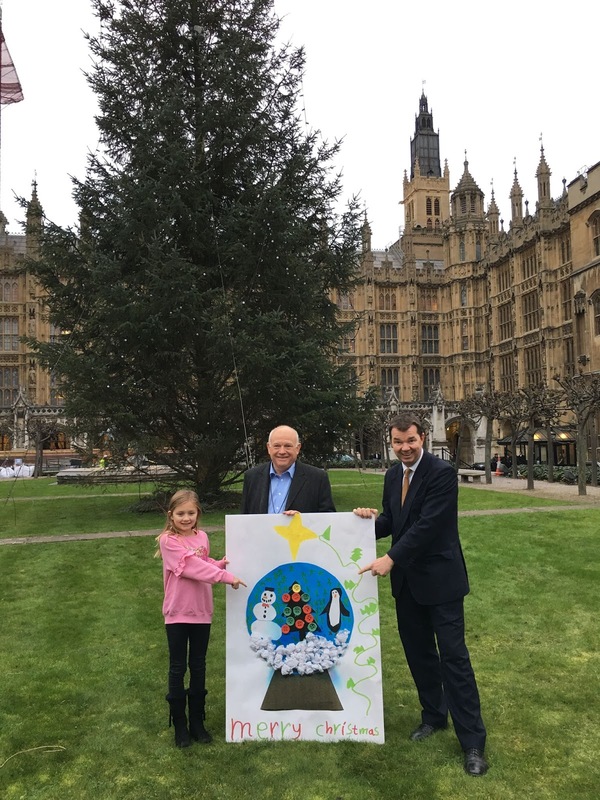 The competition is open to all Year 3 pupils in the Hexham constituency with the winning design being made into my constituency Christmas card, which will be sent to many people, including the Prime Minister and other members of the Cabinet. The winner will also be given the chance to visit the Houses of Parliament and see the world famous Christmas tree which comes from our very own Kielder Forest each year. The deadline for entries is 9th November 2018- if you would like more information about the competition or guidelines for entering, email teamoppy@gmail.com or call my office on 01434 239205. Please do encourage your school to enter- you never know, your school could have the winning design! It’s one of Northumberland’s most iconic sites, so it’s brilliant news that Hadrian’s Wall is set to receive a lottery grant of £1.17m. 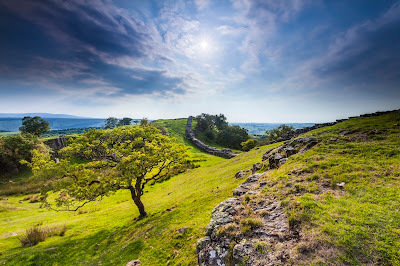 A number of locations along the 89-mile wall are at risk of damage from severe weather, tourism and invasive plant species, and experts at Newcastle University will work with trained community volunteers to prevent further deterioration. 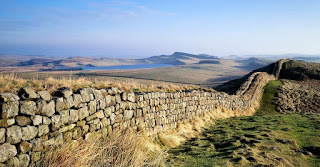 Hadrian’s Wall is a World Heritage Site, and I am delighted that this funding will allow incredibly important conservation work to go ahead to preserve our local heritage. 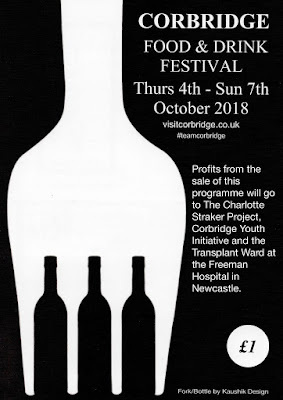 The very first Corbridge Food and Drink Festival has now begun, with the coming weekend set to be one to remember for residents and visitors. The event is being organised by Visit Corbridge volunteers and local businesses, with a packed programme including speciality menus, live music, demonstrations, the Hexham Morris Dancers and The Great Corbridge Bake Off, judged by BBC Look North's Carol Malia, to name just a few! The 12-page Festival programme is now on sale at Forum Books, The Corbridge Larder, Vintage at the Tower and other outlets around the village at a price of just £1, containing full details of events across the four days of the festival from Thursday October 4 to Sunday October 7. 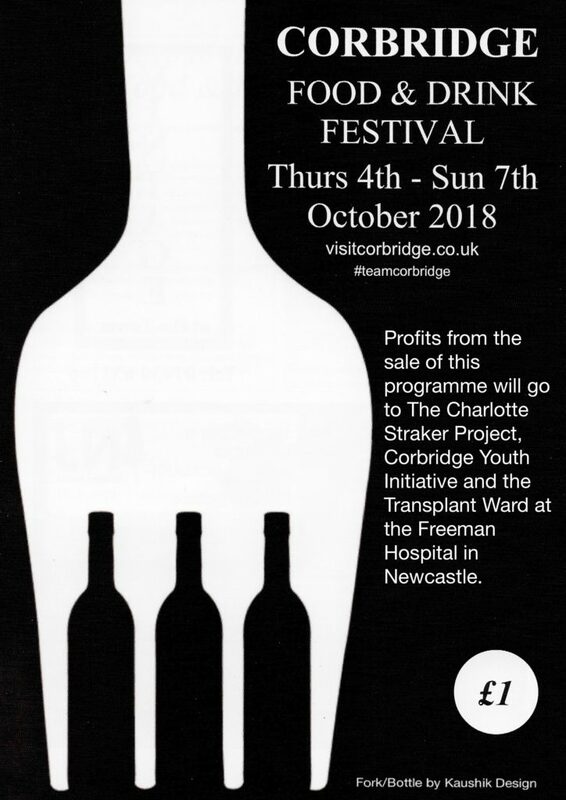 Profits from the sale of the programme will be divided between The Charlotte Straker Project, Corbridge Youth Initiative and the Transplant Ward at the Freeman Hospital in Newcastle. 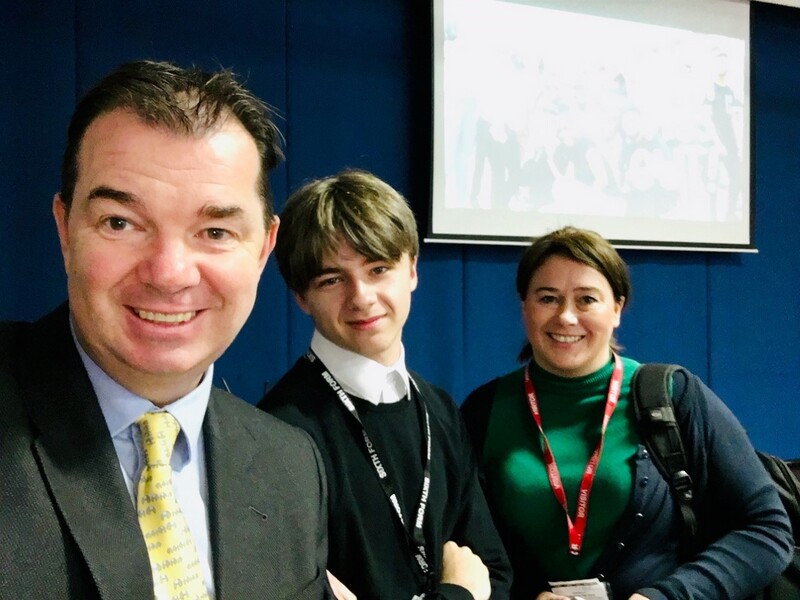 The Bank of England is looking for secondary schools and colleges from the Hexham constituency to take part in its digital media competition called Bank, Camera, Action. Students aged 11-18 are invited to submit a short film on the theme of ‘What will money be like in the future’. Students are free to use dance, music, poetry, rap, animation, graphics, cartoons, interviews, news items or any other fantastic ideas you may have- the more creative the better! Expensive technology is not required to enter. Films can be submitted from a phone, tablet or camera and should be between 1 and 3 minutes. There will be prizes for both schools and individual team members. The winning films will be made available on the Bank website and shared through social media channels. Schools must register for the competition by 8 October. The closing date for film entries is 10 December. 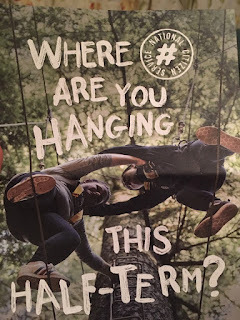 Why not encourage your school to get involved?! We all know that the ability to communicate is a crucial life skill. It gives us a voice and is central to our development and educational attainment, being at the core of all social interaction. 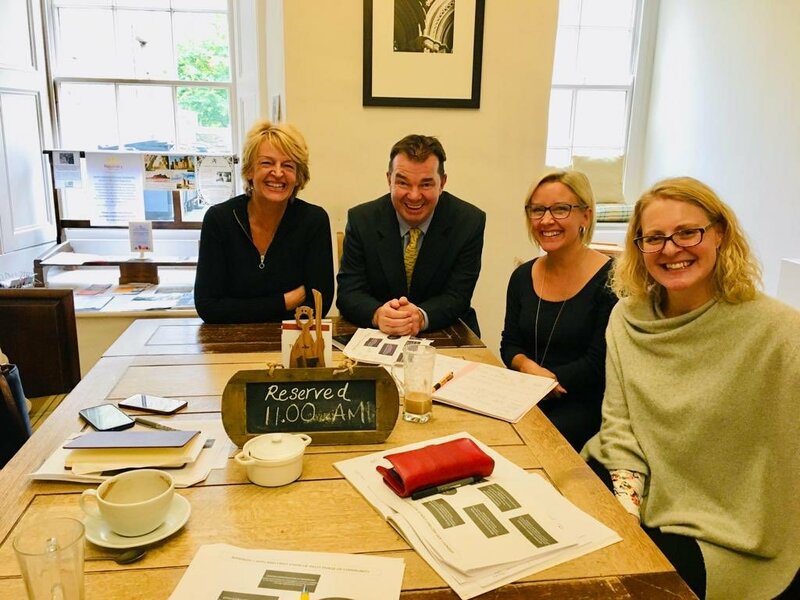 To raise awareness of the importance of communication amongst children and young people, the Royal College of Speech and Language Therapists has teamed up with the National Association of Head Teachers to run this year's annual Voice Box joke competition. Mainstream and specialist primary schools in England and Scotland are invited to hold a joke-telling competition between October and November. A shortlist of the best jokes will then be made, with a national final at Westminster next year.